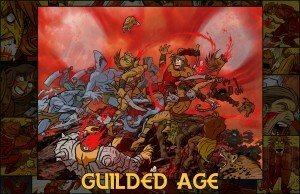 Guilded Age » FRIGGSTARTER Exclusive #2: Byron Print! FRIGGSTARTER Exclusive #2: Byron Print! So, despite the modest amount of observable evidence, Byron is a berserker. I remember back in Chapter 8 when we finally had him, well… y’know, there was an instant divide between people who thought it was a good thing, and those who did not. That was kind of our intent. But ultimately, as we have demonstrated, we are not in the business of writing stories where Byron just kirks out and vivisects a bunch of enemies. We are, however, in the business of immortalizing the admittedly complete badassitude of Byron in Berserking form. 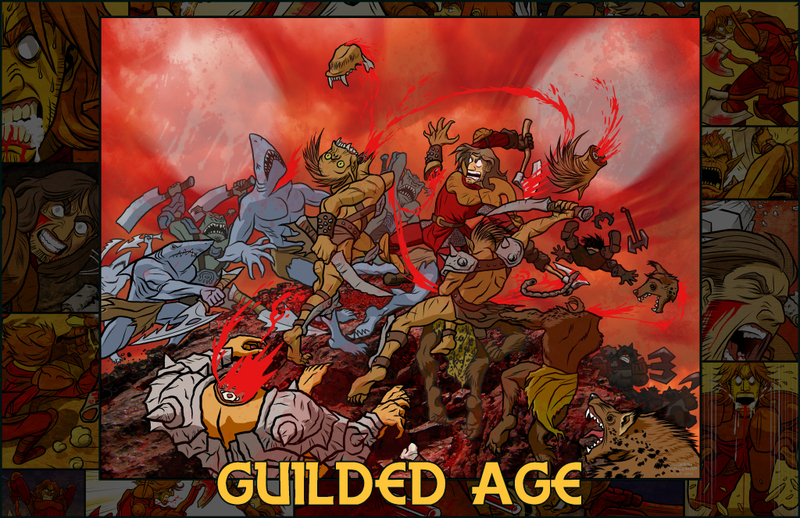 To that end, we unveil our second FRIGGSTARTER Exlcusive: an 11″x17″ Byron the Berserker Print! This is original work from John Waltrip from waaaaaay long ago that we haven’t been able to use until now. For just $10 added to your pledge, you will receive a Byron the Berserker Print of your very own. This, like the charm will automatically be included for all backers that have pledged at $125 or above, as if you needed further incentive to splurge on original Waltrip Brothers art! I repeat: Gravedust Tier is Best Tier.